Guest blogger Geraldine Sammut attends one of the Darba Waħda… sessions. Read on to find out more about this interesting project. 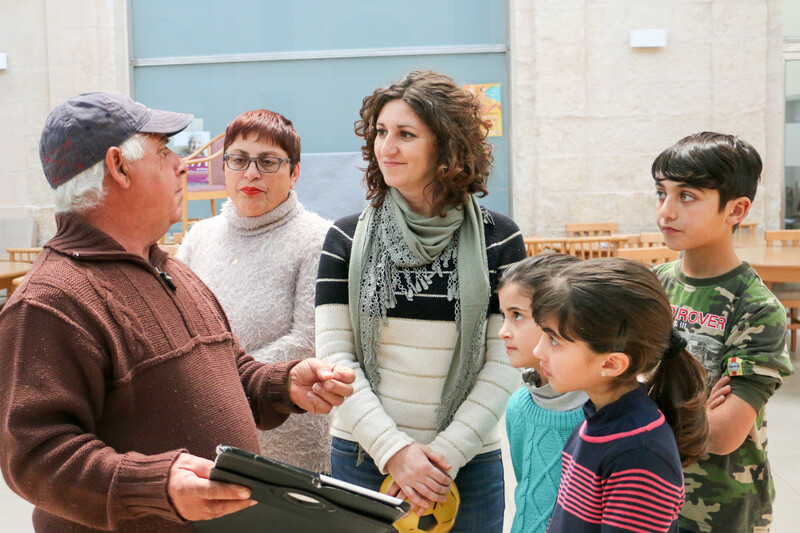 Enthusiastic shouts bounced off of the rustic walls of the Siġġiewi Civic Centre; Siġġiewi being one of the villages whose local council has agreed to take part in Darba Waħda – a Valletta 2018 project coordinated by applied drama practitioner Anna Formosa. 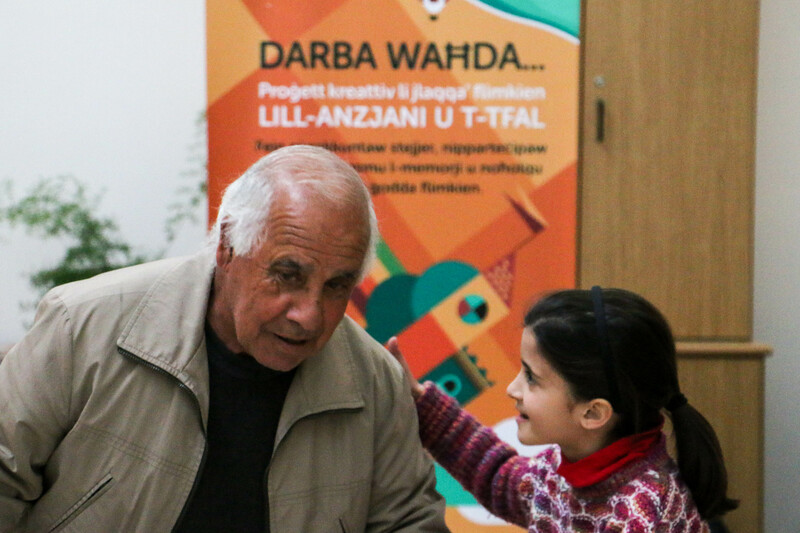 Darba Waħda unites old and new generations through various activities. During the particular session which occurred in Siġġiewi, the elderly and children alike participated in various name games which required quite a bit of alertness, and towards the end, the elderly recounted tales from their personal past which are also pertinent to Malta’s overall historical and cultural identity. One elderly gentleman participating in Darba Waħda used to build public buses in the past, and he drew a vivid image of the times when buses were colour-coordinated according to their village, and when the post was delivered by one big bus which left Castille everyday and made its rounds from village to village. Ms Formosa even recalled one instance from the previous year where an elderly woman had brought silk-worms to the session. This woman had explained how in her days house-wives living in hamlets used to farm silk-worms on top of their wardrobes by feeding them mulberry leaves so that they could then gather the silk from their cocoons and weave it into lace for their garments and for church furnishings. Both fascinating stories which aren’t easily found in a history text-book. What’s in store for Darba Waħda? Ms Formosa concluded that by 2018, ‘I would like Darba Waħda to have visited all of Malta and that people will always recall having fun and learning at the same time. And hopefully, even after 2018, this will keep on going as a regular event’.